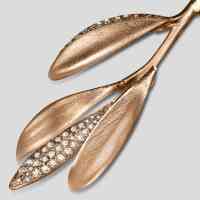 Beautiful, articulated and modular these Olive Branch Pavé earrings are stunning whichever way you decide to customise them! 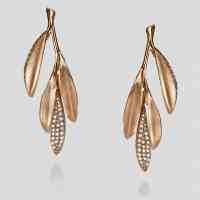 Wear them with the fully pavé articulated leaf attached for a dramatic look, or remove it for a more pared down daytime look. Whichever option you choose will look fabulous we are sure!